When you’re frustrated on a job search it’s tempting to punch the sofa cushions and get mad at recruiters and employers. 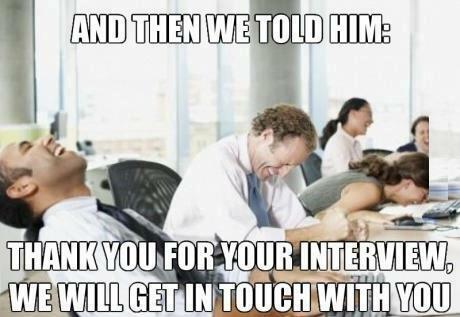 You will find plenty of job-seekers doing those things, because the traditional corporate and institutional recruiting process is as broken as it can be. Still, you have to get a job, so after you get finished beating up on the sofa cushions and using your most colorful curses to describe recruiters and hiring managers, it’s time to spring into action! Yes, the recruiting process is broken, but even if it were perfectly designed and executed, the Five Worst Job-Search Mistakes listed here could still get in your way. Most job-seekers find that their job search suffers from at least one of these issues. Does yours? Your job search won’t go the way you want it to until you know your career direction very clearly. You have to know what you want in order to get it! Many people hedge their career-direction bets. 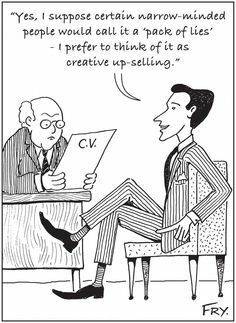 They say “I do Marketing, PR and Sales.” Very seldom if ever does a hiring manager need someone to do those three very different things. When you can do work you enjoy and are good at and also solve someone else’s pain, you can earn what you’re worth and grow your flame in your job. That’s why the first step in your job search is to figure out what kind of job you want next, and then to brand yourself for those positions — not every single position you could conceivably fill. Most job-seekers don’t brand themselves in their resume or their profile. They merely list the jobs they’ve held already. You have a story that no one else has. Why not tell your story? Your story is your brand. Tell us where you came from and how you grew as a person and a professional over time. The more clearly you know where you’ve come from and where you’re headed, the more powerful your job search will be. Once you have a bead on the specific kinds of Business Pain you specialize in solving, begin collecting Dragon-Slaying Stories. What’s a Dragon-Slaying Story? It’s a story about a time you saved the day or made a positive difference at work. Your stories give punch and power to your resume and your LinkedIn profile, and when you share your best stories on a job interview it’s often your stories that get you the job. Like I said, the traditional corporate and institutional recruiting process is horrible. It’s designed to weed people out of the pipeline, not to keep them in it! job-seekers don’t pitch resumes and applications into Black Hole recruiting portals any more, because that doesn’t work. They figure out who their direct hiring manager is in each of their target organizations, and they reach out to that person directly. Try it! Full-time jobs are fewer and fewer, while contract and consulting opportunities are everywhere. You can’t stay stuck in the full-time employment box if you want to keep working! You’ve got to get a consulting business card and start giving it out to people you know and new people you meet. Nothing is permanent, anyway, so why not explore your consulting persona and see where it can take you? You are currently browsing the Norwood Consulting Group blog archives for June, 2015.